Gary W. Phillips has counseled clients in all essential areas of institutional advancement. His special expertise is in the areas of developing volunteer and staff leadership; facilitating strategic planning and organization management; counseling in capital and endowment campaigns. He has also served a number of private family foundations assisting them to define their charitable mission along with the essential roles and responsibilities of their governing boards. Gary has served 13 of the University of California and California State University campuses; 17 private colleges and universities; Orange County Performing Arts Center and Kennedy Center for the Performing Arts; Smithsonian National Museum of American History, Huntington Library, and Clark Art Institute-Massachusetts; Los Angeles and San Francisco Zoos; Marlborough, Laguna Blanca, Loyola High and Polytechnic Schools; Children's Hospital Los Angeles, UCLA Medical Center and USC School of Medicine. 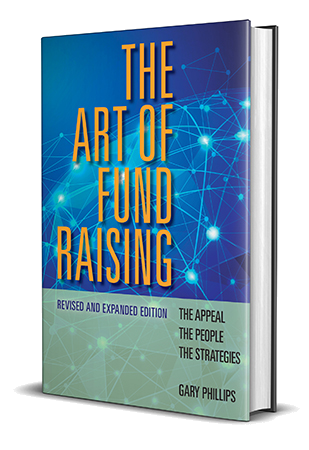 Gary’s book “The Art of Fundraising: The Appeal, The People, The Strategies” sold through Amazon Books has been reviewed and has received critical acclaim by professionals in the field. His newly-launched online consulting service Phillips OnLine was developed to provide individuals and organizations with easy access to examples and perspectives of "best practices" in non-profit management and fundraising. Prior to founding our firm in 1971 Gary served as Director of Development for UCLA, Assistant Director of Development for Stanford University, and director of both a corporate and private foundation. Gary is a graduate of Stanford University. Mark Billings, Senior Counsel, brings over 13 years' experience in campaign management and fundraising consulting to our firm's clients. Mark has provided fundraising counsel to educational, social service and religious institutions throughout the United States, and has taken part in raising over $200 million for organizations he has served. His particular expertise is in the areas of major gift development, solicitation strategies, prospect research, data analysis and fundraising-related software and desktop applications. Mark is a graduate of the University of San Francisco, and is fluent in Spanish. Helen Bechtolt brings fundraising and program management skills from 25 years of not-for-profit and institutional experience. Prior to joining Phillips & Associates, Helen spent more than seven years at Claremont McKenna College where she served as Director of Special Gifts and Director of Major Gifts working on the College's successful $100 million campaign. In addition to larger gift and annual campaign experience, Helen has worked extensively with volunteers, coaching volunteer solicitors and directing volunteer program managers. Since joining Phillips & Associates, her work has included designing strategic development plans for new and experienced organizations, conducting feasibility and prospecting studies and leading workshops and board retreats. Recent client assignments include California State Universities at San Bernardino and Los Angeles, Good Samaritan Hospital, Huntington Hospital, Loyola High School of Los Angeles, Maryvale, The Oaks School, Portals House, Sierra Madre Community Foundation and Southwest Chamber Music. Helen is a graduate of Kenyon College in Gambier, Ohio. Beth Quillen Thomas has over 20 years of leadership experience in nonprofit organizational governance, working with organizations taking advantage of transformational opportunities or facing challenging circumstances.The firm's clients served by Beth include Wallis Annenberg Performing Arts Center, Pilgrim School and Nazareth House. Beth is a board member and past President of the National Women's Hall of Fame, located in Seneca Falls, New York, and has served as Chair, Board of Trustees for the Mirman School; President, YWCA Greater Los Angeles; President, YWCA's of the Pacific Region; President, Junior League of Los Angeles; Director, Association of Junior Leagues International; and President, Hillsides Home for Children Education Center.Her other significant leadership experiences have included membership on the Community Development Cabinet United Way of Greater Los Angeles; Co-Chair Structure Task Force YWCA USA; board of the City of Angels Ballet; and, the Council of the Children's Burn Foundation.Beth earned a degree in Psychology from Ambassador University in Pasadena. Sheri Nazaroff, Senior Counsel, is a seasoned veteran bringing to our firm's clients extensive experience working with a broad range of nonprofit organizations over the past 20 years. Prior to joining Phillips & Associates, Sheri served as Development Director for Chapman University's Dodge College of Film and Media Arts, previously having focused her talents on corporate and foundation fundraising for the Segerstrom Center for the Arts and the Ren'e & Henry Segerstrom Concert Hall. In the medical field Sheri served as Director of Development for the City of Hope Medical Center and Beckman Research Institute. Sheri's experience covers a wide range of fund development including major gift strategies, capital campaigns, governing board development, foundation grants, corporate sponsorships and volunteer support groups. Sheri earned her Master of Arts in Organizational Leadership from Chapman University. She obtained her Certified Fund-Raising Executive (CFRE) credentials in 2011. In October 2016, Sheri was awarded the distinction of Outstanding Fundraising Professional by the Orange County Chapter of the Association of Fundraising Professionals (AFP), of which she is an active member. Lawrence J. Wilker has developed his considerable talent, valued insights and international reputation in arts management over that past 30 years. He brings to select clients of our firm his special skills and perspectives in the areas of strategic planning, organizational development and arts programming. Larry is a Tony Award-winning, Emmy-nominated performing arts executive, most recently serving as President of the John F. Kennedy Center for the Performing Arts following his Presidency of Cleveland's Playhouse Square Foundation, Director of Theatre and Real Estate Properties for the Shubert Organization, and Vice President of the Eugene O'Neill Theatre Foundation. He recently co-founded TheatreDreams, Inc. and ShowOnDemand taking full advantage of his arts management and marketing capabilities. Larry received his B.A. in Economics and M.F.A. in Theatre from the University of Massachusetts, and his Ph.D. in Theatre from the University of Illinois. Brian Evans, our firm's Associate Counsel, has worked in both the corporate and non-profit sectors aiding organizations to clarify their institutional vision and messages; building and strengthening their constituency/customer relationships; and, stimulating financial growth. 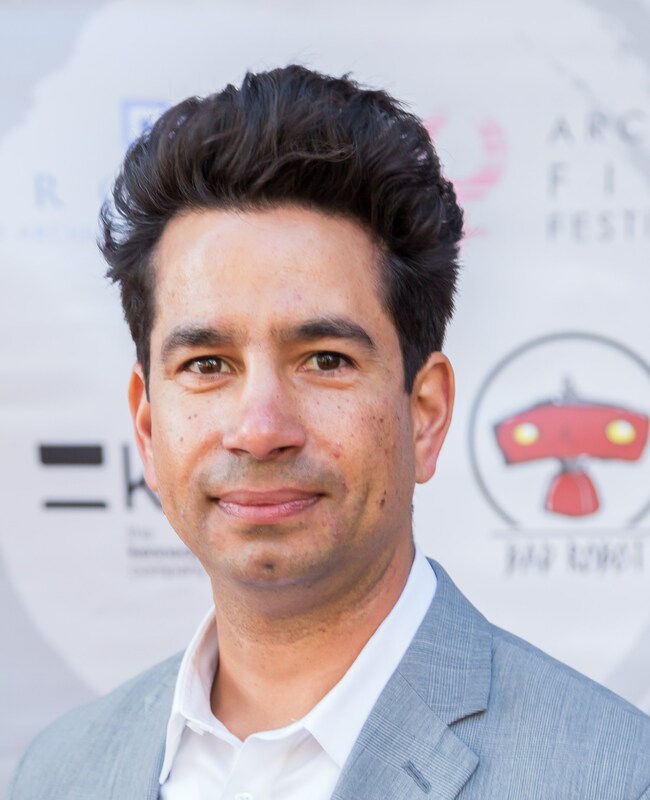 Brian's work in the non-profit sector has included raising capital funds for UCLA, RAND Corporation, and has designed and directed numerous multi-million dollar capital campaigns. As in-house fundraising professional at both the RAND Corporation and Henry Mancini Institute, Brian increased unrestricted annual funds at each by more than 200% within 24 months, while simultaneously expanding current donor support and identifying and securing new funding networks. Certified as a business coach, Brian also specializes in executive coaching; board training and leadership development; strategic, fundraising and capital campaign planning; and campaign planning and feasibility studies. Brian earned his MBA in finance from the USC Marshall School of Business, and his B.A. in English from UCLA.